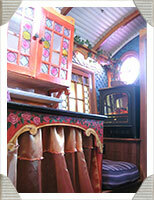 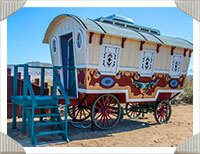 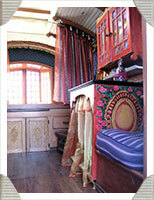 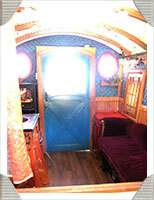 This amazing gypsy vardo trailer was Gina's home in the movie Big Top Pee-wee. 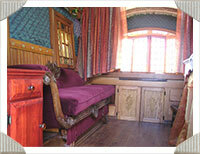 Meticulously restored over 4 years by Gary Votapka and his family. 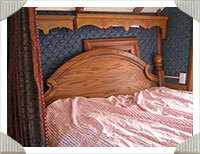 The details are fantastic in this beauty with 10 ft. ceilings and a queen bed.